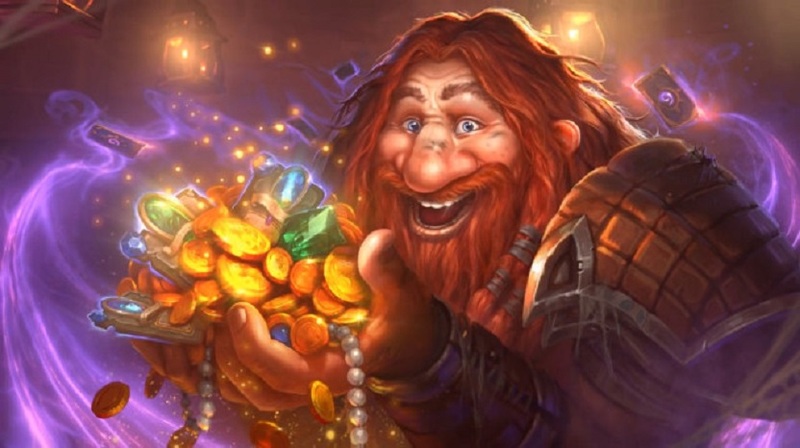 Just in case my numerous articles haven’t been enough to tip you off, I am currently obsessed with the free-to-play digital card game Hearthstone. It’s a great game with a bright future that I’ve already put more time into than I care to count. To date, I’ve put exactly $40 into the game, which is exactly as much as I would happily spend for an enjoyable budget title like this if it was being sold in retail. Team Fortress 2 is another free-to-play game that I have lovingly poured hundreds of hours into, but no more than $5 in microtransactions at this point. Pokemon Shuffle, which I recently reviewed, hasn’t cost me a dime. Now, I want to ask how much you’ve spent on any given free-to-play game that you’ve enjoyed. Have you put in $1o, $20, or maybe nothing at all? Have you spent anywhere from $60 to even $100? Have you carelessly spent thousands on a title that was supposedly free? If you can’t give me an exact answer, give or take five to ten, then you have a problem. I think that free-to-play is one of the greatest innovations that the gaming industry has had in the last generation. It has undoubtedly been a boon for countless multiplayer games by lowering the barrier of entry and raising the active community. Given that these types of games live and die entirely based on their player bases, this can save a game that may have otherwise fallen through the cracks and make the big games even bigger. It’s also a godsend for avid gamers who can’t afford the latest systems and all the AAA releases. Free-to-play opens up incredible new possibilities that leave everyone better off. At least, it’s a great model when both sides are using it wisely. The major downside of free-to-play models is their nasty habit of nickel-and-diming their players with microtransactions. In some cases, it is the fault of the game developers. Games like Marvel Heroes put up massive paywalls for getting the heroes you want to play as while never allowing you any inclination as to whether or not you’ll actually enjoy playing as that character outside of simple brand recognition. Mobile apps like Super Monster Bros have purchase pop-ups for $100 in the diabolical hopes of scamming unsuspecting children. These kinds of practices are certainly abhorrent, but they’re not the only ones responsible for some of the most outrageous purchases made through microtransactions. Too often, players will spend frivolously on microtransactions with little regard as to how much they’re actually paying in the grand scheme of things. With microtransactions being such small purchases, it’s far easier to spend without putting much thought into how much you’re actually getting out of your purchase. Even when a game has the most generous business model to it, it’s easy to splurge on little things here and there. Before you know it, you end up spending up to hundreds of dollars on the type of game that you could have just bought outright for only twenty. With every free-to-play game that you play, you should keep track of every microtransaction you pay for to see the bigger picture of how much your spending. Compare how much you’re spending on a free-to-play game with the fixed prices of other games and consider how much value you are really getting. If the free-to-play game is strong-arming you into paying more, then that should be a sign that you should stop playing it. There’s no shortage of free-to-play games that will treat you better and there are plenty of traditionally priced games that offer plenty of replayablity at a cheap price. With all of that said, there’s no shame in intentionally spending a little extra on your favorite games. Free-to-play should be seen as a system where you pay as much as you want for a game. If you really love what the developers are doing, then by all means show your support with in-game purchases. Honestly, my only regret with Team Fortress 2 is that I haven’t spent more on it at this point. Also, it is your money and how much it’s really worth is going to be your choice. My point is that we should all take responsibility when using these sorts of business models and know how much we’re investing into our hobbies.